Reiki Chester | What is Reiki Healing? Reiki Healing Chester | Reiki (Pronounced Ray Key and meaning universal life force) is a natural healing energy activated by the practitioner. It works on every level of the mind body and spirit and promotes the body’s regenerative self healing ability. Reiki healing is channelled through the practitioner’s hands and into the clients’ body by the laying on of hands, or if the client prefers, the hands can be held an inch or so above the body. Reiki treats holistically and can be used alongside conventional medicine/medication, expanding treatment options. Reiki is not however an alternative to conventional medicine, always consult your GP about acute infections and problems. Originating in Japan, Reiki is now widely used in the Western world. Eastern medicine has always worked with this energy which flows through all living things and is vital to well being, known as ‘chi’ in China and ‘prana’ in India. Acupuncture, Tai chi and Yoga are also based on the free flow of this energy in a person. 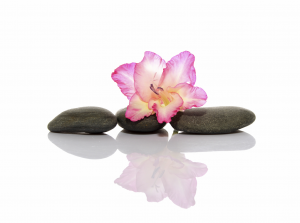 Reiki promotes a calm, peaceful sense of well being, healing problems on a mental, emotional and spiritual level. Encouraging greater inner harmony and balance, regular Reiki treatments may promote a calmer response to life’s challenges. Illness can be a time of great stress. 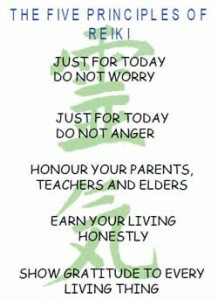 Reiki can help us cope by encouraging relaxation and bring balance to both mind and emotions. It is very good for pregnant women and one of the few holistic therapies safe to have during pregnancy. It helps to relieve the morning sickness stage as well as helping with the relief of aches, pains, backache, swollen feet and ankles, it may even help you to get a good nights sleep and will benefit your growing baby. It has been known to induce labour at the end of a pregnancy, so once you reach 40 weeks, give it a try. (I gave myself Reiki during both of my pregnancies and both my children were very calm babies and slept very well). Reiki is excellent for Babies, helping relieve painful colic and teething. Sometimes babies can be stressed for no apparent reason, Reiki will help babies to relax and sleep. Reiki for children and teenagers could help with any form of stress for example exam stress, nerves and anxiety, building confidence, growing pains and help the body repair itself after illness. Reiki for adults can help after having surgery and on wounds, speeding up the body’s healing process. It helps with pain relief, can help the body repair itself during and after illness, can help to release emotional baggage even when held onto for many years. It is excellent for stress relief and relaxation, promoting inner harmony and balance. Reiki is excellent for animals who maybe stressed and anxious, recovering from surgery, be unwell, injured or well and just need a treat! Animals usually respond very well to Reiki. Their purpose is to help people realize that healing the spirit by consciously deciding to improve oneself is a necessary part of the Reiki healing experience.